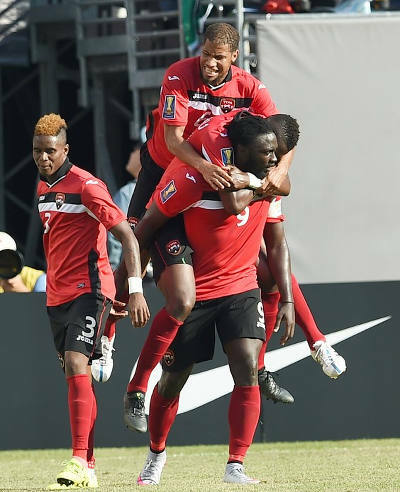 TTFA: As we enter another month of World Cup qualifying matches with the two games against St Vincent and the Grenadines on March 25 and 29, what is in your head at this moment? Stephen Hart: For me, it’s simple. We have two games to play. You can only play the first game before you play the second game. And the first game is an away game so we have to be very calculating because most of my players finish play (with their clubs) on the 19th or the 20th. But the bottom line is we want to get maximum points out of the two games and then we will see how the other games go in the group. TTFA: A couple players are now back playing after lengthy injury layoffs, Kevin Molino and Hughtun Hector. Are you in a position to say whether will be considered for selection for these two qualifying games? SH: Well Hector hasn’t played in a while. He’s just started back playing so I will keep an eye on him. 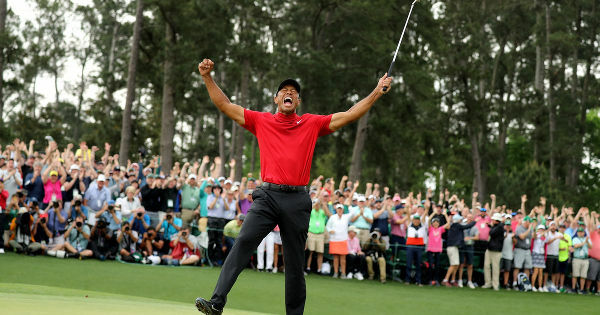 He’s back here with W Connection. Molino has been spot playing. I am not sure if medically he will be released by the club to come and play an international… How many games he will have under his belt. But I will keep monitoring that situation. 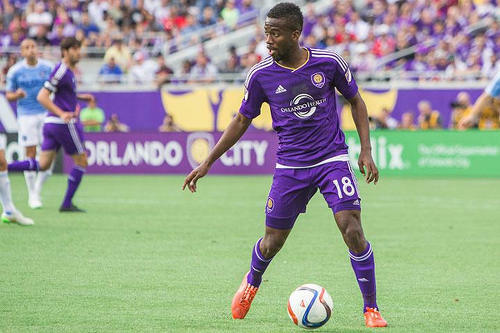 Photo: Orlando City and Trinidad and Tobago playmaker Kevin Molino. TTFA: What do you make of the St Vincent and the Grenadines team? SH: I was quite impressed actually. They have some adventure going forward. They are organised and if you are not concentrating fully they can surprise you. They did the US. They started the game brightly, they opened the scoring and when a team scores on you, particularly if they are at home, you sort of create doubt in your mind. I think they are a very good team and we have to be at our best. 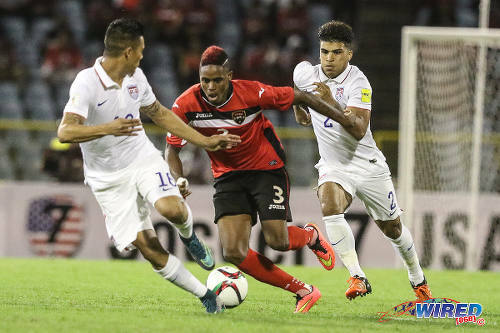 Photo: Trinidad and Tobago defender Mekeil Williams (centre) prepares to attack a corner kick against Haiti during the 2016 Copa America play off contest at the Rommel Fernandez Stadium, Panama City. TTFA: With the game being played on a cricket outfield at Arnos Vale, are you considering sending an advance party to view the surface before the team arrives there for the match? SH: They have already moved the game to 3.30 pm in the afternoon. And I expect because of the dry season, the pitch (will) be extremely hard with a cricket pitch in the middle of it. Yes I will attempt to send someone just to give us an idea of it, I know for a fact St Vincent are just going to go with the mandatory 45 minutes the day before so it could be a difficult surface to play of course, unless it rains. It’s not really that much different from our ground conditions with our weather at the moment. We just have to be more clinical with the ball and more tidy because the ball will bounce a lot and we have to be aware of hat. 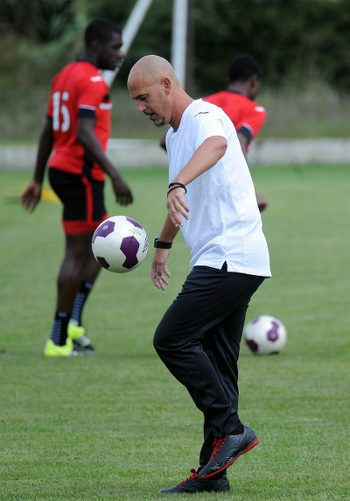 TTFA: What do you have in mind for the team’s preparations before the encounter on March 25? SH: Traditionally this is one of the most complicated times—March right through to May—mainly because you have a number of leagues (that are wrapping up) with players playing either to be promoted or to avoid being relegated. And to get players is going to be very difficult. Already most of our players play either on the 19th or the 20th, so they wouldn’t be arriving here before the 21st, 22nd and that only gives us three or four days to prepare. But it is the nature of the make-up of the squad. 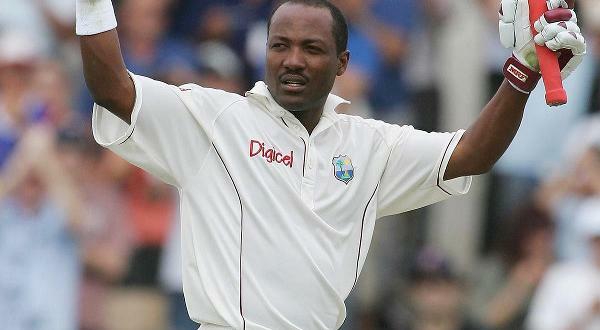 It’s the nature of the Trinidad and Tobago team at the moment with so many players spread all over the world. 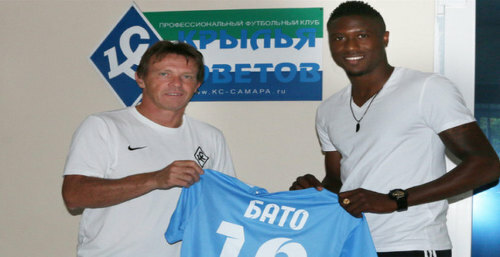 Photo: Trinidad and Tobago defender Sheldon Bateau signs for FC Krylia Sovetov in the Russian top flight. TTFA: Will you try to get your full team assembled in Trinidad before going off to St Vincent or will some players fly directly there? SH: No! I think we will try to get everybody here. In that way, we are in control of the training pitch and the entire environment. We can get some training sessions in (privately). 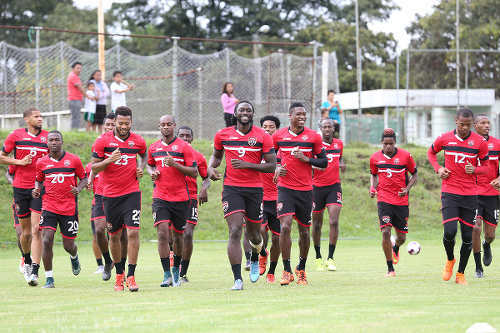 Photo: The Trinidad and Tobago National Senior Team trains in Guatemala City, ahead of their opening Russia 2018 World Cup qualifier against Guatemala. 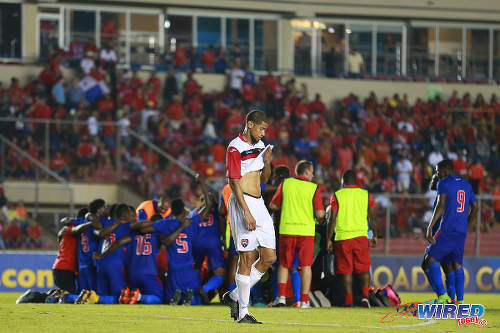 TTFA: When do you expect to name the final squad? SH: There are a number of games to be played between now and then. There may be changes to the squad. I have an idea of the squad in mind. It’s just a matter of narrowing it down to the final 23. I’ll possibly announce it (on) the Thursday or so before we go into camp. 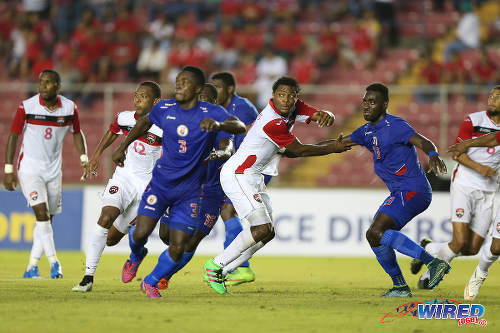 TTFA: We’ve had a few players such as Nick De Leon, Ryan Inniss and John Bostock who are eligible to play for Trinidad and Tobago. What’s the latest on that? SH: I have spoken to all of them. Some are in the process of finalising their passports. That is something we cannot control especially with the foreign embassies. But we will keep an eye on that and see how it goes. I don’t expect any of them to be ready for the March date. 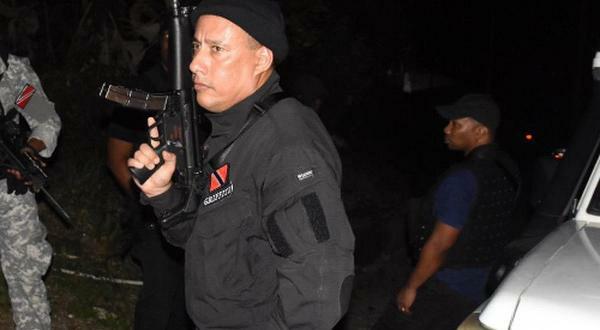 One of them—I don’t want to call names—is still very uncertain as to what he would like to do because he has other options outside of Trinidad and Tobago and of course they are pressuring him to make a decision. 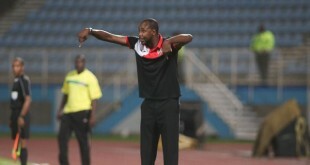 But I have told him that we need him, we want him, we would like him to be part of the Trinidad and Tobago setup. So the decision rests with him. 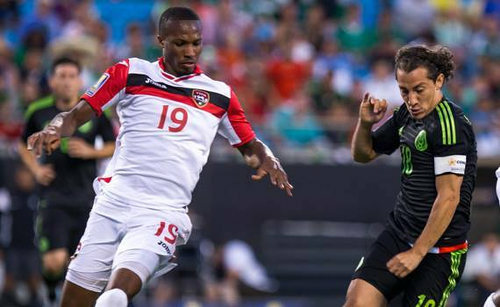 Photo: DC United midfielder Nick De Leon was born in Arizona but his father, Leroy De Leon, was a former Trinidad and Tobago great. 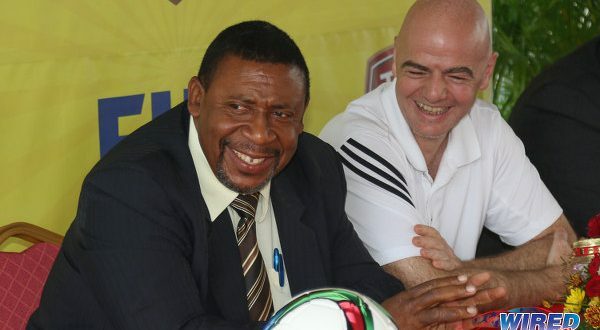 TTFA: Outside of the current player pool, are there any other players you are monitoring? SH: I’ve seen all Levi Garcia’s games, It’s good that he’s playing. He is in a good environment. There are four or five local players that have looked on top of their game, both physically and mentally, so I’m keeping an eye on them because I think they can push for selection. It should be interesting. Obviously I didn’t have this sort of option in January when we played Haiti because the League was on a long break and it was very similar with the foreign-based players. 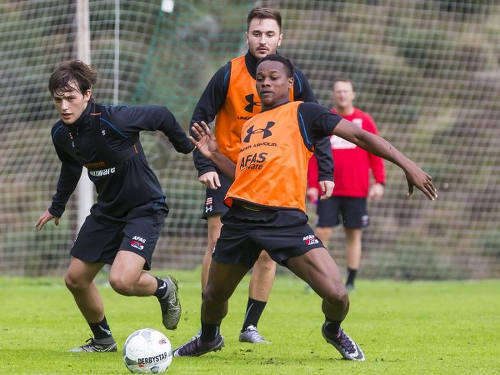 Photo: Trinidad and Tobago teenager Levi Garcia (right) practises with Netherlands top flight club, AZ Alkmaar. TTFA: Any other players who we have not heard about that could have the possibility of breaking into the squad? SH: I’m not sure. I got a couple names for which I sent out some info to get some scouting information but it’s a little obscure at the moment. And very difficult too at the moment. On the flip-side, we have some players still looking for clubs and not been playing so that is a little bit worrisome for me. It’s a difficult situation. I keep in contact with Kevan (George) and emotionally it’s a rollercoaster for him. He knows the situation. 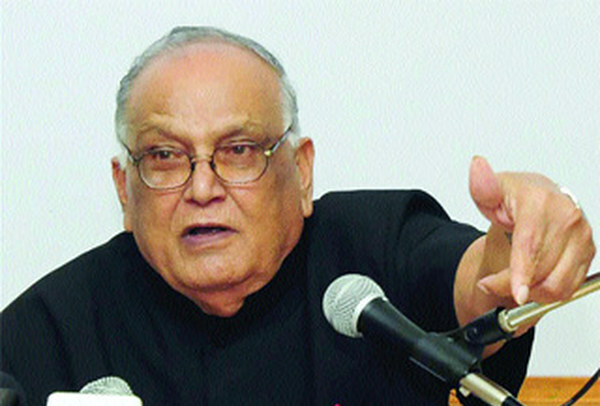 It will have an impact on selection. TTFA: What is your take on Kenwyne Jones, as he seems to be enjoying his football at the moment? SH: He’s playing and the good thing is his game ends earlier than the others, so he will have some time not only to fly but also to recover. And he is accustomed (to) flying, so he knows what has to be done. Photo: Al Jazira and Trinidad and Tobago forward Kenwyne Jones celebrates his goal against Al Saad with a trademark somersault during AFC Champions League play off action on 9 February 2016. TTFA: And now you have other players playing regularly for their clubs, how much of a positive situation is this? SH: I think playing is the most important thing. You have to be playing regularly because yes you can be fit but if you’re not match-fit you are not match-sharp. And then mentally as the game goes on, especially at an international level, mistakes crop up and that can cost you. TTFA: We know it’s gone and over with but what were your thoughts when the Copa America draw came out and seeing where Haiti ended up? SH: I didn’t really pay much attention to that. It’s over. We had a number of opportunities to qualify for that tournament. It was not to be. My focus is on getting into the next round of World Cup qualification and quite frankly that is more important than anything else. 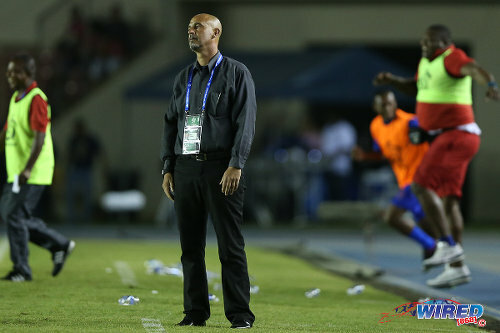 Photo: Trinidad and Tobago coach Stephen Hart reacts to the final whistle in the 2016 Copa America play off contest at the Rommel Fernandez Stadium, Panama City. 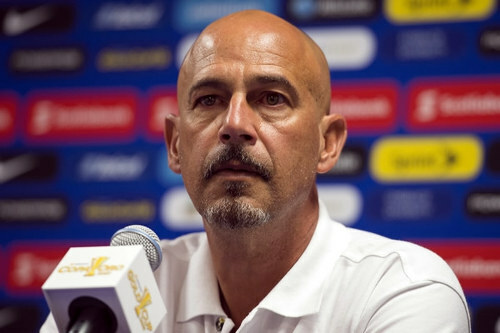 TTFA: Do you think that the disappointment of not making it to the Copa America has had the kind of impact on the players which will make them want to really come back with a bang and make up for it? SH: Well I think it just sort of shows that we are a young squad and we lack that mentality that something like that has to happen before you sit down with yourself and say we let a big opportunity slip. But until they actually feel it emotionally, it’s very difficult to convince them. 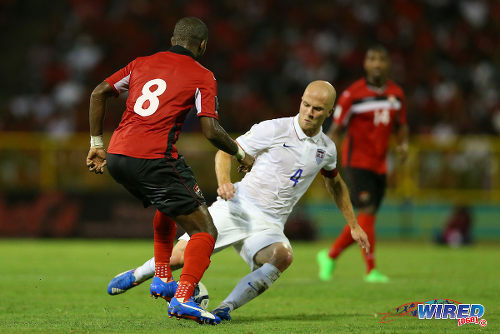 TTFA: What do you hope to have happening in the May to August period ahead of the September World Cup qualifiers? SH: I will sit down with the President and the General Secretary. Hopefully we can get two big games in the May window. If we get that, that would be fantastic for us experience-wise. And, on the backend, we will have to be prepared to go into the next set of games in September. Because I am still thinking we are going to need points. Think I’m more intrigued about the four/five local players he hinted at. I think we can do with another winger and a box to box midfielder if we can find one. That’s Bostock and Nick. Have to read up on Inniss.